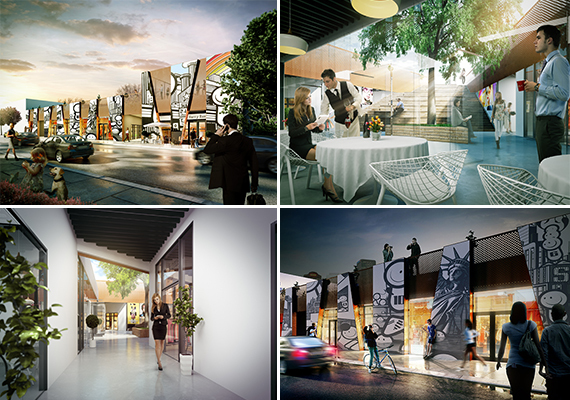 East End Capital’s plans for a new Wynwood commercial space are now entering the leasing phase, Metro 1 announced. The Wynwood Arcade, which consists of 20,000 square feet of retail and restaurant space at 74 Northwest 24th Street, breaks down into available spaces starting at 750 square feet. The leasing price per square foot is $50, Metro 1 said. Features include a cascading staircase that will connect the center of the building to the rooftop, which will include a bar. East End Capital and Yellow Side Ventures paid $11 million for the entire block on the west side of North Miami Avenue, between 24th Street and 25th Street, the partnership announced in January. The purchase included a separate parcel across the street at the corner of North Miami Avenue and 24th Street. Last May, the partners bought a 20,911 square-foot warehouse at 2214 North Miami Avenue for $4.7 million. And in February 2014, they spent $5.3 million on another property on Northwest 23rd Street, just west of North Miami Avenue, that was formerly owned by Mega Shoes. They plan to transform that site into a retail center. “We will continue to support, in every way we can, development that aims at enhancing this neighborhood. We are happy to see developers of this caliber bet on Wynwood as East End Capital has done,” Metro 1 founder and CEO Tony Cho said in the press release.